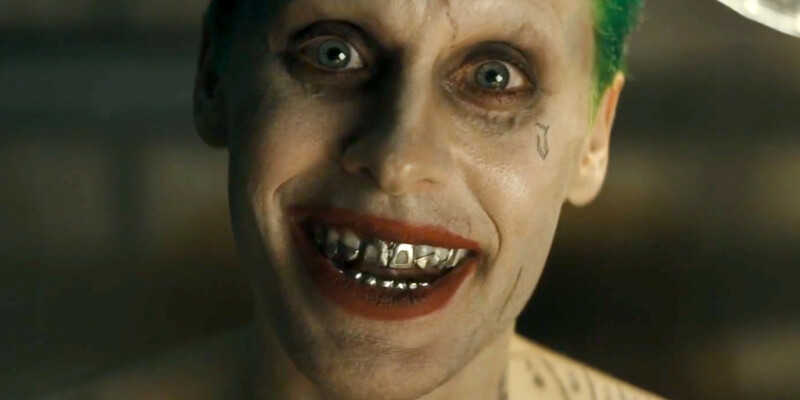 According to David Ayer, the Joker’s tattoos and teeth tell a tantalizing story. Indeed, the clown villain is blinged-out for a reason. To ground the character in a more modern reality, Ayer and Leto used the drug lords of Instagram as a foundation for the Joker of 2016. This criminal underbelly of Instagram has bikini-clad women holding RPG’s, massive tigers sipping from private pools, and gold-plated AK-47s next to Gucci bags. This is the world that Jared Leto’s Joker has come to inhabit, the lifestyle that he has chosen to lead. Though Heath Ledger’s Joker may incinerate a pile of cash, Leto’s iteration may have a bit more interest in the good life. “A lot of it has to do with creating a character with some kind of history and footprint in our world,” Ayer says. It’s true to the Joker’s past, as well. In several comic iterations, the Joker and Harley Quinn actually owned hyenas.